Don’t let the sun set on your event! 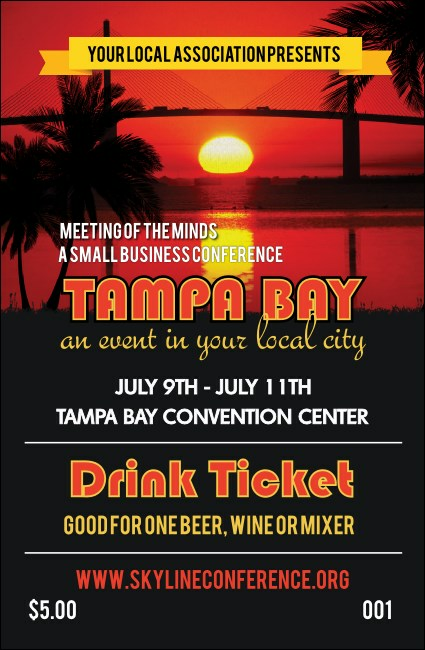 Keep your guests happy and entertained when you give them Tampa Bay Sunset Drink Tickets for your next event in Cigar City. These ticket templates are stunning and include a picture of the Sunshine Skyway Bridge with the bright orange Florida sun setting just behind it. Find the right ticket for your Gulf Coast event at TicketPrinting.com.